Photo by Jacqueline Bennett Mayor Daniel Drew, joined by Gov. Dannel Malloy and other dignitaries, at the June 2012 CTHM site selection ceremony in Middletown, CT.
Groundbreaking for the Connecticut Trees of Honor Memorial will be held April 17, 2014. Scheduled for 2 p.m. the groundbreaking will take place at Veterans Memorial Park, Walnut Grove Road, in Middletown, Connecticut which was selected as the memorial site in June of 2012. 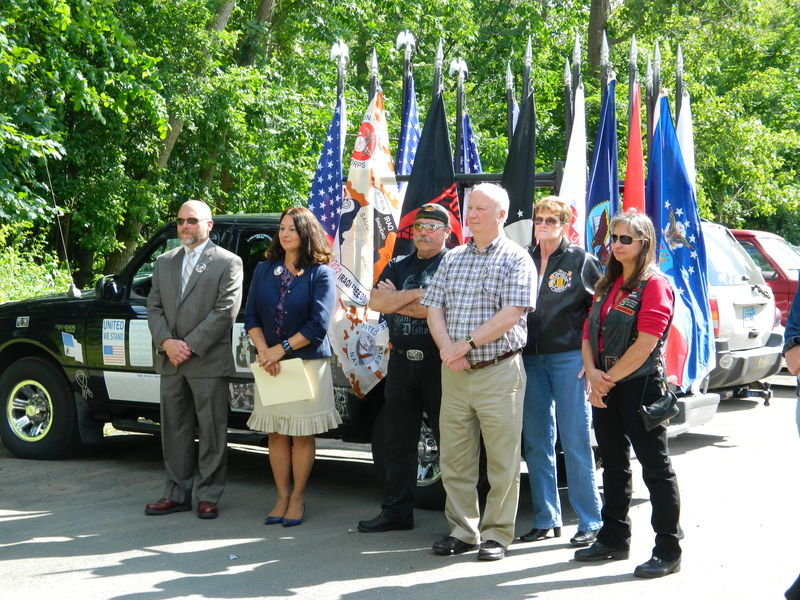 Honoring the fallen at the CTHM site selection ceremony, 6/2012. Middletown Mayor Daniel Drew worked with the CTHM committee to select a date for the groundbreaking – a long awaited moment in the continuing journey to build a unique, living trees memorial to honor the American military men and women who died in service to the nation in the wars in Afghanistan and Iraq – in particular the 65 fallen from Connecticut, as well as all veterans. “This memorial will be a tribute to all our veterans – built with dedication and commitment from the people of Connecticut as a gesture of our gratitude for their sacrifice to our great nation. It will be a permanent reminder of the cost of freedom,” the CTHM Committee stated in a press release. Visit cttreesofhonor.com to learn more about the project and how to help.